A Little Bit About Whiz To Coho inc.
Whiz to Coho Inc. is headquartered in Hillsboro, Oregon. The company was originally called Whiz.to and was created in the 90's to provide web hosting and design services. In the summer of 2001, Whiz.to purchased a local Internet Service Provider called Coho.net - and thus the name Whiz to Coho came about. The merger added a full range of internet access services to the already-strong web hosting and design services. Whiz to Coho now offers a variety of internet access options, including rural wireless broadband, web hosting, programming, web design, server co-location and more. Whiz to Coho offers high-quality, full-service Internet services that enable our customers to be connected with friends, family and business associates virtually anywhere in the world. We concentrate upon providing solutions. There are times when you know exactly what you want. Then, there are times when you need a little help. Let Whiz to Coho Inc. answer your questions and provide you with the solutions to all your problems. Whiz to Coho Inc. can provide the plan, the software, the hardware, the connection... even the installation. We are the one-stop solutions provider for all your internet needs. When it comes to providing products, we don't cut corners. Quality is important to us and we take customer care seriously. Our goal is to exceed your service expectations, our prices are extremely competitive, and we work hard to ensure that our network is stable and reliable. Combine our systems, service, and pricing, and we believe we offer the best value in the industry. 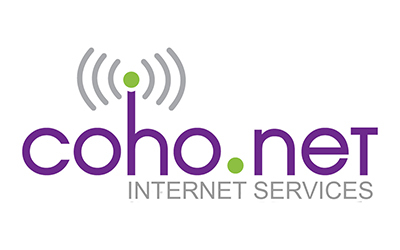 Whiz to Coho Inc. strives to be the premier Internet Service Provider in Portland and its surrounding communities. We are focused on providing our customers with the latest in Internet technology and the best possible customer care. We believe that Northwest communities are built on shared values, and we will treat you like a neighbor.